Those who shame mothers for breastfeeding in public have another thing coming if they think moms will take it. When Shawnee Colabella told her breastfeeding support group that Walmart employees verbally harassed her for breastfeeding inside of the Greenville, SC store, the members of the Facebook group "Upstate SC Breastfeeders" organized a nurse-in. 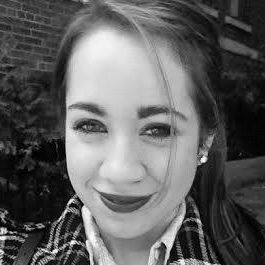 Colabella explained to WISTV News that the alleged harassers told her to cover up among other sneers. "Not only were they staring at me, they were making rude and disgusting comments about how disgusting what I was doing was, and how I should cover myself, and how if what I was doing was even legal," Colabella told the station. (Hint: yes, breastfeeding in public is legal in all 50 states. We have decided to organize a nurse in at the Walmart on White Horse Road in order to protest against the disgusting behavior of the Walmart employees and management. Hopefully we will encourage Walmart executives and management to educate there managers and employees about breast feeding, as well as, how to be courteous to those who do. 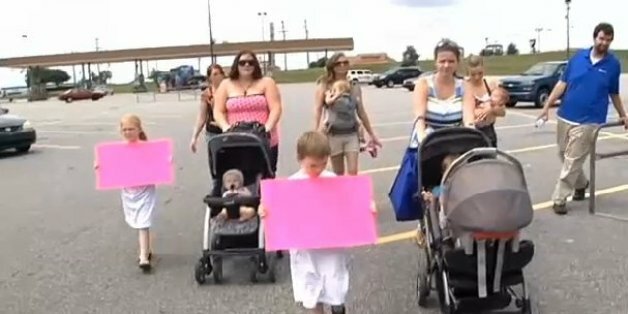 The Upstate SC Moms congregated at Walmart on Monday, following the nurse-in trend that's become popular in the last few years. Recently, similar protests have taken place at Victoria's Secret and Bob Evans, and this week, a Facebook group called "Normalize Breastfeeding Centennial Hills" will have a nurse-in at their local YMCA. We welcome nursing mothers to breastfeed their child in our store. We recognize the intimate and personal nature of the decision a mother makes to breastfeed their child - and we never want to make her feel unwelcome in our stores because of it. We apologize if our customer felt uncomfortable during her store visit. Still, these mothers stood their ground. "I want my son to be able to eat whenever he's hungry, however we are comfortable," Colabella told Greenville Online. Clarification: Walmart's statement was added to the story in full. When <a href="https://www.huffpost.com/entry/school-principal-gives-letter-breastfeeding-mom_n_5600505" target="_blank">Andrea Scannell</a> took her children to eat at a summer lunch program at Mount Logan Middle School in Utah, she decided to nurse her infant while there. 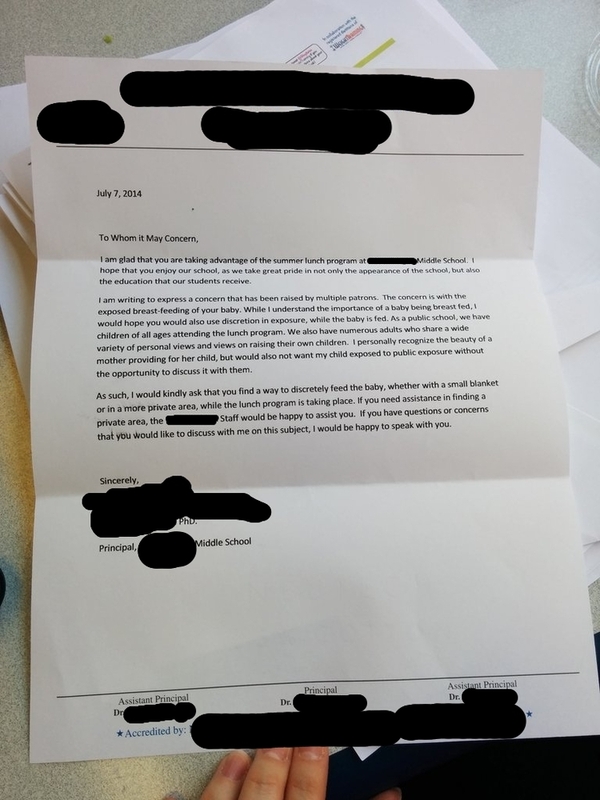 Before leaving, a school employee handed her a complaint letter from the principal, which went viral after her husband <a href="http://www.reddit.com/r/pics/comments/2aw6ob/my_wife_was_handed_this_formal_complaint_about/" target="_blank">uploaded a photo of it to Reddit</a>. The letter asked Scannell to "discretely feed the baby, whether with a small blanket or in a more private area while the lunch program is taking place." After garnering a lot of online support, Scannell organized a nurse-in at the school.